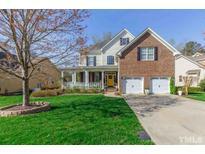 Below you can view all the homes for sale in the Arbor Creek subdivision located in Mebane North Carolina. Listings in Arbor Creek are updated daily from data we receive from the Raleigh multiple listing service. To learn more about any of these homes or to receive custom notifications when a new property is listed for sale in Arbor Creek, give us a call at 919-759-5744. Hot tub will convey w/full-price offer. MLS#2248859. 682. 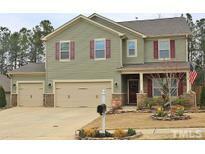 Near TANGER outlets, restaurants and about 20 min from SouthPoint Mall in Durham.Highest & Best Offers due April 10@3pm. MLS#2246663. 682. Fabulous FIVE bedroom home in desirable Arbor Creek, MEBANE...minutes to TANGER Outlets, shopping and restaurants; Beautiful ENGINEERED wood floors down, Dining Room; Stunning Kitchen with GRANITE counters, SUBWAY TILE Backsplash, Black cabinets, STAINLESS Appliances, GAS RANGE and Spacious PANTRY; FIRST FLOOR Bedroom with FULL BATH down, Master and THREE additional Bedrooms up; FENCED Yard with extensive Landscaping, FRUIT TREES, and PATIO with Natural GAS GRILL, THREE CAR GARAGE; Simply STUNNING!!! ! MLS#2244725. 238. These statistics are updated daily from the Triangle Multiple Listing Services, Inc. For further analysis or to obtain statistics not shown below please call Highgarden Real Estate at 919-759-5744 and speak with one of our real estate consultants.